1. In the 15th session of the Universal Periodic Review (UPR) held in January 2013, the United Arab Emirates (UAE) accepted a recommendation made by Austria to take steps to “protect human rights defenders [and] journalists from discrimination, harassment or intimidation”. It also accepted another recommendation made by Belgium to “respect the right to freedom of expression and association, and make the minimum use of criminal proceedings against persons availing themselves to those rights”. Front Line Defenders deeply regrets that in the years since, the persecution of human rights defenders (HRDs) has continued systematically in the country. Defenders, including lawyers and bloggers, are subjected to harsh prison sentences, prolonged and incommunicado detention, judicial harassment, travel bans and physical and digital surveillance. The economic and social rights of HRDs have also been limited. Family members have been intimidated or targeted by repressive measures to make them stop their local or international advocacy. Moreover, the restrictive legal framework governing freedom of expression and freedom of association has been reinforced, particularly in the context of counter-terrorism measures. 2. In August 2014, the UAE issued a new Counter-Terrorism Law, “Federal Law No.7/2014”, which provides the authorities with broad powers to prosecute peaceful critics, political dissidents and HRDs and declare them terrorists. The vague and overly broad definition of terrorism in the 2014 law, which allows for a wide range of peaceful and legitimate activities to be designated as terrorism, has been already used to sentence HRDs to lengthy prison terms. 3. Article 1 of the law includes “antagonising the State, impacting the public authorities in the State or other states or international organisations as they go about exercising their duties or receiving from the State or other states or organisations a benefit or privilege of any kind” as a terrorist act. Under this provision, peaceful protesting can be viewed as “antagonising the state”, which the law considers as an activity having a ”terrorist outcome”. 5. On 15 November 2014, the UAE cabinet released a list of groups that had been designated as terrorist organisations under Law 7/2014. The list includes human rights NGOs, such as Al-Karama, as well as development, charity and pro-reform organisations like the Muslim American Society and Al-Islah (reform) Movement. These groups were listed alongside known terrorist organisations such as Al-Qaeda, Daesh, the Taliban and Boko Haram. 6. Furthermore, freedom of association continues to be severely restricted under the Federal Law No. 2 of 2008 on “National Societies and Associations of Public Welfare”. This law grants the government broad discretionary powers to deny the registration of new NGOs and dissolve established organisations or their boards of directors on vaguely defined grounds. This law has undermined the establishment or survival of independent human rights NGOs since 2011 when the authorities used its provisions to control the Jurist Association and the Teachers’ Association by dissolving their boards and replacing their elected members with state appointees. 7. The ongoing political and diplomatic tension between the UAE and Qatar has resulted in reinforced restrictions on freedom of expression and self-censorship among bloggers and journalists in the UAE. In June 2017, the UAE announced that any speech critical of the government’s measures against Qatar would be prosecuted as crimes. 8. Dozens of HRDs and reform activists including judges, academics and student leaders continue to serve prison sentences on charges of “attempting to overthrow the government” in a case known as “the UAE 94”. This case was initiated in 2012 in the aftermath of the Arab Spring and proved to be the centrepiece of the authorities' broader crackdown targeting expression of dissent and advocacy for greater public participation in the governance of the country. All of the accused persons were imprisoned solely for peacefully exercising their rights to freedom of association and expression, including online, and were sentenced to between seven and 15 years imprisonment. 9. On 2 July 2013, the Federal Supreme Court in Abu Dhabi convicted 60 of the 94 defendants, including eight tried in absentia and acquitted 25 others. Among the convicted HRDs are prominent lawyers Dr. Mohammed Al Mansoori and Salem Al Shehhi, judge Mohammed Saeed Al Abdouli and law professor and former judge Dr. Ahmed Al Zaabi. 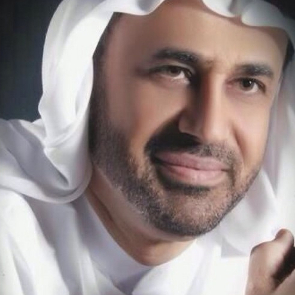 Leading human rights lawyer Dr. Mohamed Al Rokn, who defended political prisoners and other detained human rights lawyers in the face of threats and intimidation, was arrested in July 2012 and referred to trial as part of the UAE 94 case. In July 2013 he was sentenced to 10 years in prison. 10. HRD, economist and prominent academic Dr. Nasser bin Ghaith was sentenced to 10 years in prison on 29 March 2017 under the Cybercrime Law and the 2014 Counter Terrorism Law for tweeting about human rights violations committed by Egyptian authorities and criticising the politicisation of the judiciary in the UAE. His conviction was also related to meetings he had during trips abroad with HRDs and political activists who have been labelled as members of terrorist organisations in the UAE. Authorities held Dr. Nasser bin Ghaith incommunicado for nine months after his arrest in August 2015. He was refused permission to see a lawyer and was not informed of the charges against him until the second session of his trial on 2 May 2016. Authorities have kept him in solitary confinement since his transfer to the maximum security block in Al-Sadr jail on 18 May 2016. 11. Prominent HRD and the winner of the prestigious Martin Ennals Award Ahmed Mansoor has been detained since 20 March 2017 by the UAE Information Technology Crimes Prosecution on charges that include using social media websites to “disseminate false information to promote sedition, and damage of national unity”. The defender was held in secret detention for nine days before being transferred to Al Wathba prison where he has been kept in solitary confinement since. He has not been permitted access to a lawyer. Ahmed Mansoor is one of the few voices within the UAE to provide a credible, independent assessment of human rights developments in the country. He is a member of the Advisory Board of the Gulf Centre for Human Rights and Human Rights Watch’s Middle East and North Africa Advisory Committee. His detention is most likely linked to a letter that he signed along with other defenders in the Arab region addressed to the Arab Summit, calling for the release of HRDs in the Arab states. 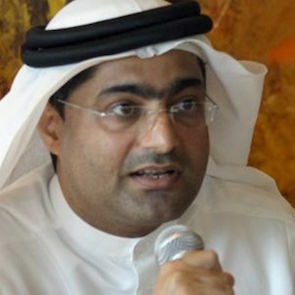 Authorities in the UAE have long persecuted Mansoor for his work on human rights. He has been under a travel ban for the past six years and has experienced physical assaults, death threats, government surveillance and spyware attacks. 12. Authorities routinely intimidate and harass families of imprisoned HRDs for their involvement in social media campaigns or their passing of information about their imprisoned relatives to international human rights NGOs. For example, three sisters, Asma Khalifa al Suwaidi, Mariam Khalifa al Suwaidi and Alyaziyah Khalifa al Suwaidi, were held three months incommunicado in secret detention following their summons by the police in Abu Dhabi in February 2015. The three sisters were campaigning peacefully on the Internet to pressure authorities to release their imprisoned brother, Dr. Issa al Suwaidi, an academic and pro-democracy activist who was convicted following the UAE 94 case, referred to above. 13. 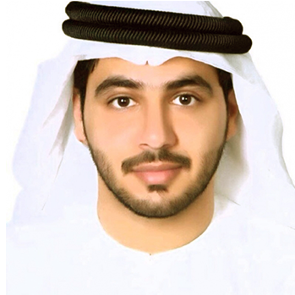 In April 2013, a court sentenced Abdulla Al Haididi, the son of Abdulrahman Al Hadidi, one of the pro reform activists convicted in the UAE 94 case, to 10 months in prison on the charge of publishing details of his father’s trial proceedings. Additionally, many relatives of imprisoned human rights defenders are under travel bans or have had their passports confiscated. 14. Repression of online speech was strengthened with the passing of the 2012 Cybercrimes Law (Federal Legal Decree No. 5/2012). This law has been regularly used by authorities to restrict freedom of expression on the Internet and silence human rights defenders and bloggers. In February 2015, Omani blogger and writer Muawaiya Al Rawahi was stopped by security at the UAE border and was not permitted to return to Oman. He was kept under incommunicado detention and authorities refused to disclose his whereabouts for four months. He was then transferred to Al Wathba prison in May 2015 and remained in detention pending trial on a charge of insulting state officials in the UAE and publishing false news on Twitter until his judicial aquittal in March 2016. 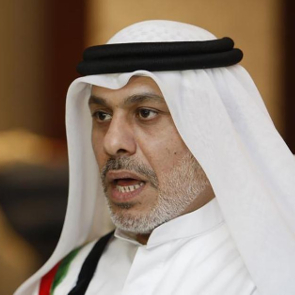 Al-Rawahi was arrested for criticising repressive measures taken by Mohammed bin Zayed Al Nahyan, the Crown Prince of Abu Dhabi and Deputy Supreme Commander of the UAE Armed Forces. Al Rawahi is known for using his Twitter account and blog to highlight restrictive steps taken against strikers and activists in Oman and the UAE. 16. HRD and blogger Osama Al Najjar was sentenced to three years in prison in May 2014 under the Cybercrime Law for posting tweets in defence of his father, who was sentenced in the UAE 94 case. The son was charged with “designing and running a website on social media with the aim of publishing inaccurate satirical and defaming ideas and information that are harmful to the state institutions”, “offending the state”, “instigating hatred against the state and contacting foreign organisations and presenting inaccurate information”. Prior to his arrest, Osama Al Najjar lobbied for detainees' rights and disseminated information regarding prison conditions and ill-treatment particularly via social media websites. 17. Rights to a fair trial and due process of detained HRDs have been widely violated. Authorities have regularly detained people in secret locations, in incommunicado detention and solitary confinement without access to their lawyers or families. Moreover, lawyers are often intimidated out of representing HRDs. In 2015, the UN Special Rapporteur on the Independence of the Judges and Lawyers expressed concerns that lawyers are subjected to harassment and threats if they take up human rights cases or cases related to state security. 18. The use of torture and ill-treatment against detained and imprisoned HRDs in the UAE has been repeatedly reported by local and international human rights observers. According to the Gulf Centre for Human Rights, persons involved in the UAE 94 case were exposed to torture and abuses. In May 2016, Dr. Nasser bin Ghaith complained to the State Security Chamber of the Federal Supreme Court in Abu Dhabi during his trial that he had been tortured in detention but the court failed to investigate this complaint. Moreover, in June 2017, reports highlighted ill-treatment of HRDs, bloggers and political activists imprisoned at Al-Razeen prison. 19. Some HRDs who complete their prison sentences are subsequently transferred to Counselling (munasaha) Centres, a procedure permitted under the Counter Terrorism Law No.7/2014 against persons considered “a threat against the state”. These centres are supposed to confront extremist ideologies through guidance and psychological and social rehabilitation. Every three months, the centre is obliged to submit a report on the person sent to the centre. In March 2017, the imprisonment of HRD Osama Al Najjar was extended and he was transferred to such a centre. 20. Authorities in the UAE use sophisticated spyware and surveillance equipment to monitor HRDs and remove information from their computers. In August 2016, HRD Ahmed Mansoor was subject of a phishing attempt using technology made by an Israeli company called NSO Group. This marked the third time a hacking attempt was made on Ahmed Mansoor using a spying tool created by a government contractor. 21. In May 2017, the UAE blocked Qatari media outlets, including Al Jazeera and Huffington Post Arabic newspaper, which have reported on human rights violations in the region. Certain other online media and human rights websites, including the websites of the Gulf Centre for Human Rights and the New Arabic newspaper, continue to be blocked in the country. Ensure full cooperation with the mandate of the UN Special Rapporteur on the Situation of Human Rights Defenders and the Special Rapporteur on Freedom of Assembly and of Association and invite the mandate holders without delay to visit the UAE.